Quick Kimchi Salad is the perfect recipe to use when you want that Korean taste but don’t want to ferment cabbage for a few weeks beforehand. Luckily for you, I’ve come up with this great and simple recipe that gives you a touch of the real thing but still adds great taste and little work. Kimchi is one of the trendiest things you could stuff your mouth with at the moment but good kimchi can be hard to find especially if you’re not blessed with a Korean restaurant nearby. And maybe you don’t feel like waiting for weeks to be able to eat some great cabbage. That’s why you should try my quick kimchi recipe. 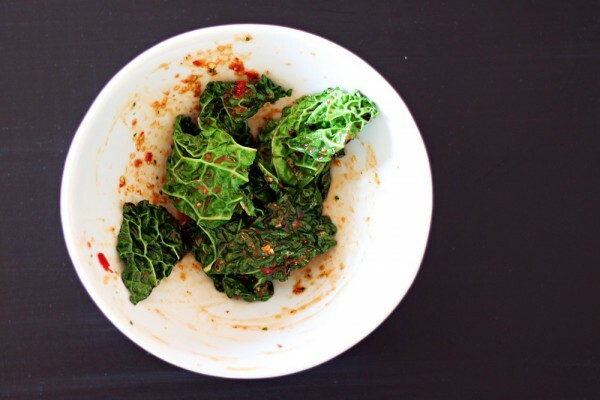 I make this using savoy cabbage but you can change it to any kind you like, the sauce is mixed using fish sauce, ginger, sambal oelek and garlic. I then quickly fry the savoy cabbage in a little bit of oil to soften it and give it a little extra flavor. Then marinate it while still slightly warm and serve within an hour. This is nowhere near a authentic kimchi but the flavor is amazing and it will give you a small taste of the real thing. Also, I added a few leaves of Thai basil to my paste because I really like the licorice notes. If you’re in luck and have an Asian grocery store around you can also look for kimchi paste. I have tried a few of those and they are also OK to use for this quick variation. Rinse and remove any big stems from the cabbage. 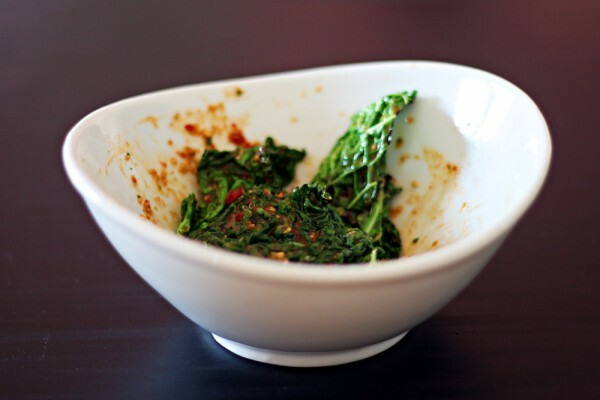 In a blender add equal parts of garlic, fish sauce, ginger and sambal oelek and mix into a paste. Add vegetable oil to a frying pan and add the cabbage and roast for a few seconds. Combine the cabbage with the paste. Check flavors and adjust if necessary. Also feel free to reduce or increase any ingredient if you like it any other way, good luck! 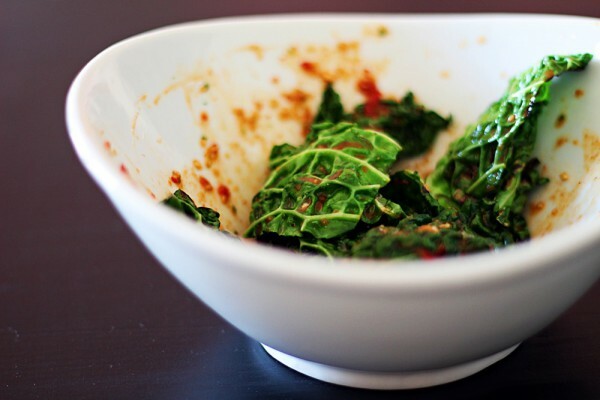 To learn more about the traditional Kimchi salads this article is worth a few minutes.